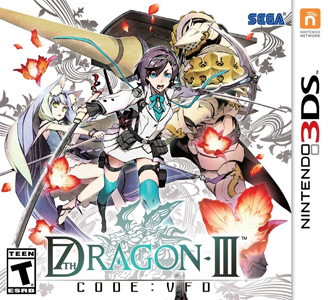 7th Dragon III Code: VFD is a JRPG developed and published by Sega. It is the third and final installment in the 7th Dragon series, previously unreleased outside Japan. 7th Dragon III Code: VFD has some problems in Citra. Graphically, the game suffers from minor issues, and requires powerful hardware to obtain near full speed. Text fields are misaligned, texture forwarding (internal resolution settings) only affects character models and certain effects. It suffers from no observed audio issues.